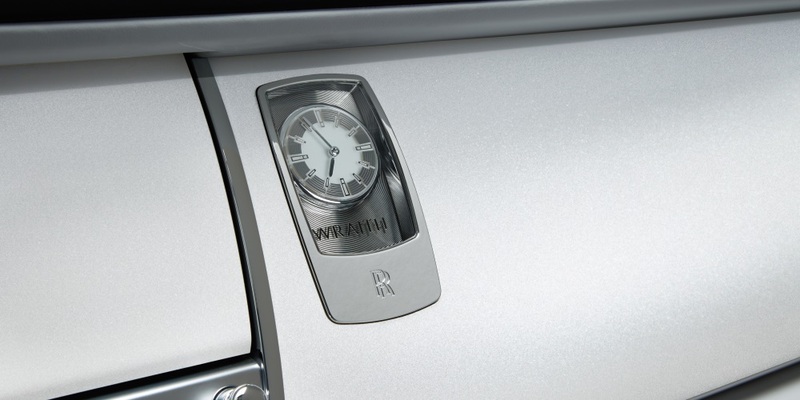 Rolls-Royce Motor Cars and the world of Haute Couture have long been bound by a common philosophy - finest materials and the most exquisite and desirable luxury goods. A century later, a bold new generation of customers continue to share the same appetite for commissioning expressions of their taste and lifestyle. ‘Wraith - Inspired by Fashion’ provides a modern take on this grand tradition. Akin to commissioning a fine suit or elegant piece of couture, the journey of creating a highly Bespoke Rolls-Royce motor car begins at the marque’s equivalent of the tailor’s atelier, the Bespoke Design Studio at the Home of Rolls-Royce in Goodwood, England. Here, the Designers honed the aesthetic theme of the car, drawing inspiration from colour palettes, materials and techniques used in the world of high fashion. The result is an extraordinary interpretation of Wraith’s characteristic blend of power, style and drama. 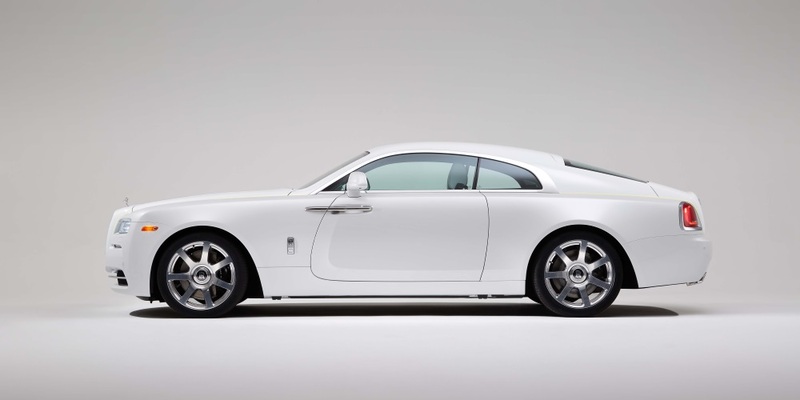 ‘Wraith - Inspired by Fashion’ two-tone exterior colour scheme of Andalucian White and Arctic White offers a neutral setting for a choice of accent colours, namely Jasmine, Tailored Purple or Mugello Red. 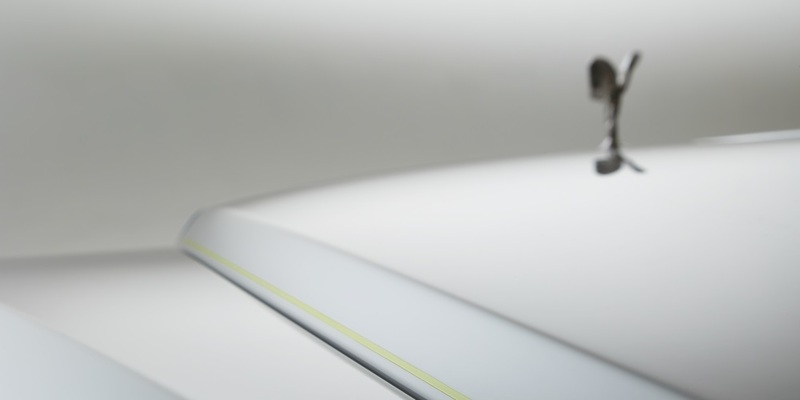 Wraith’s signature shoulder-line is accentuated deftly with the addition of a hand-applied feature-line in the chosen highlight colour, alluding to the divergent interior of the motor car. Like the finest Bespoke garments, beauty is found in the subtlest details. 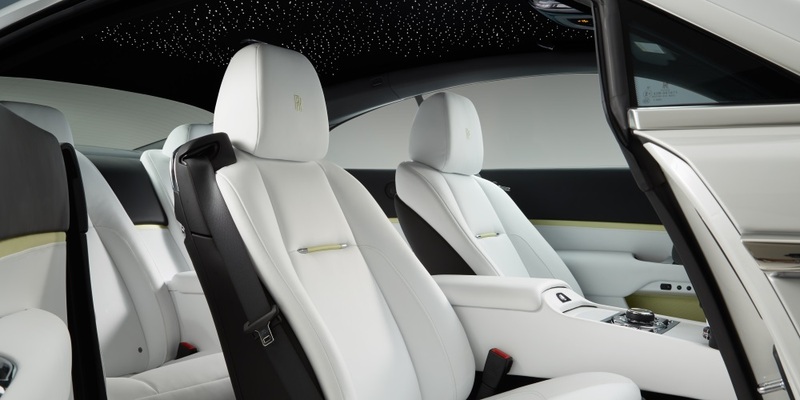 On opening Wraith’s coach-doors you will find a contemporary impression of the car’s classic Arctic White and Black interior colour scheme. Beyond the traditional placement of embroidered headrests, seat stitching and piping, the accent colour has found an elegant new application via a striking two-tone composition steering wheel. A seamless stitch, a highly complex craft technique from the world of fine tailoring, was mastered and applied to the wheel by the craftspeople in the Leather Shop at the Home of Rolls-Royce. The very finest garments are crafted exclusively from the most luxurious materials – with tactility, comfort and quality as important an attribute as the aesthetic of the piece itself. 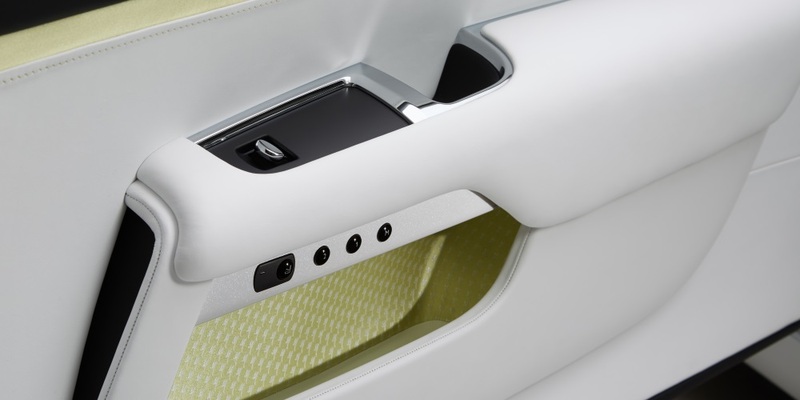 The Bespoke design team took inspiration from this approach in appointing the car’s front and rear door pockets with fine silks, adorned with an abstract representation of the Spirit of Ecstasy with each emblem set precisely at fifty-five degrees to complement the lines of the door. The remarkable craftsmanship and attention-to-detail employed in the creation of any Rolls-Royce is evident in the exquisite application of wood to the dashboard, with the lacquering process for ‘Wraith - Inspired by Fashion’ alone taking nine days to painstakingly complete. This is completed elegantly with the integration of a Bespoke Clock, set as a piece of jewellery, styled exclusively to emit a pearl effect, reminiscent of silk fabrics. To mark the occasion of the creation of this timeless Wraith, the motor car took part in a landmark shoot on the production line at the Home of Rolls-Royce in the South of England. The luxurious materials and distinctive features presented in the motor car were accentuated by fashion models, set against a backdrop of the hand-made motor cars. The remarkable success of Wraith in attracting a new generation of successful entrepreneurs to the marque has been underpinned by a surge in demand for Bespoke personalisation - a remarkable 95% of all Wraith motor cars left the Home of Rolls-Royce with an element of Bespoke design last year, giving bold expression to the notion that Bespoke is Rolls-Royce.